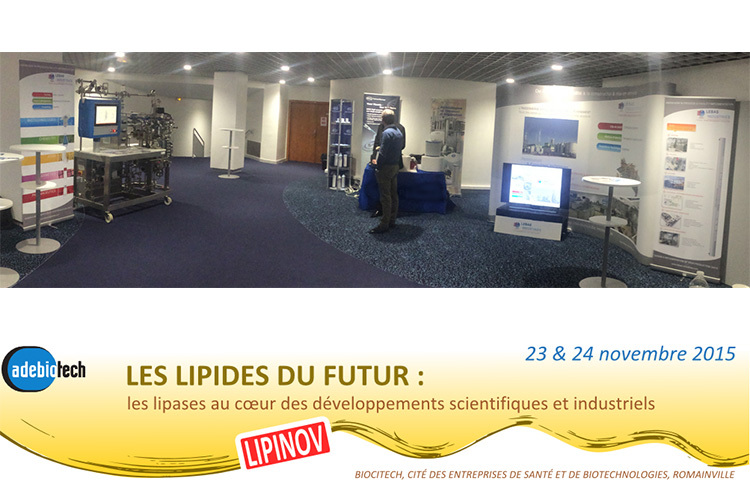 The lipids of the futur : Lipases are central in scientific and industrial developments. 23th & 24th november 2015 - Biocitech, is a place for health and biotechnology companies at Romainville. This symposium aims at bringing together high-performance research laboratories, producers and industrial users of these future lipids, whether they are of microbial, plant, algal or animal origin. To meet the economic costs and sustainable development, new sources of lipids appear, such as co-products or insects, requiring new industrial processes.